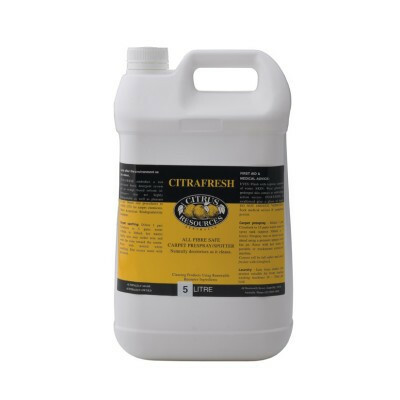 RESEARCH CITRAFRESH CARPET SPOTTER/PRESPRAY High performance carpet extraction pre spray concentrate with natural orange deodorant action. Nothing will outperform CITRAFRESH on greasy carpet soils. It is safe on all carpet fibres including fine silk rugs, and woollen carpet commonly found in hotels. Also suitable as a front loader laundry detergent.